This CD represents the first digital recording of this Oscar® winning score by Maurice Jarre. As the composer of over 200 film scores, Maurice Jarre has written for many iconic films including Doctor Zhivago, A Passage to India, Ryan’s Daughter, Witness, Ghost, Jesus of Nazareth, Fatal Attraction, The Man Who Would Be King and The Longest Day. 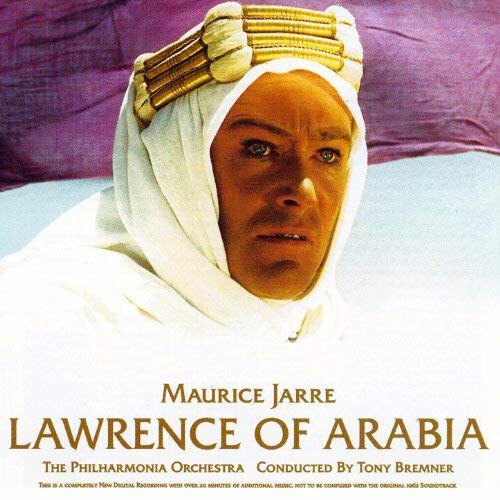 The Theme from LAWRENCE OF ARABIA is one of the most famous and well-known pieces of film music ever composed and this critically acclaimed recording features over 50 minutes of the original score from the David Lean epic including over 20 minutes of music not featured on the original 1962 soundtrack album. Played by The Philharmonia Orchestra conducted by Tony Bremner.